Butterflyangel112: Types of Mehndi Designs! Yesterday I wrote about how to get dark henna/mehndi stain and today I will help you understand the different types of henna/mehndi. 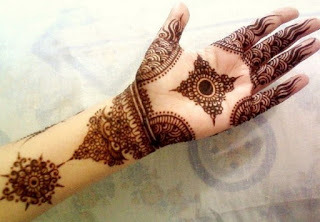 I will help you to figure out the different types of mehndi and choose the right pattern for your next henna session. 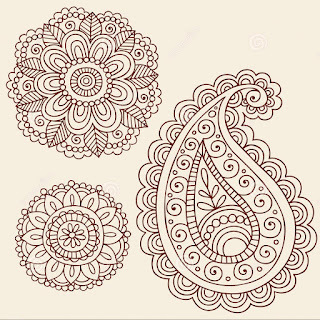 Pakistani mehndi designs are somewhat similar to Indian Mehndi designs. Pakistani women usually wear henna on their hands during special occasions like weddings and other events. These designs are exquisite and elegant and made with minimum amount of henna being applied. It will be thin and unique. As the name suggests, it is a combination of Indian designs with Arabic patterns. 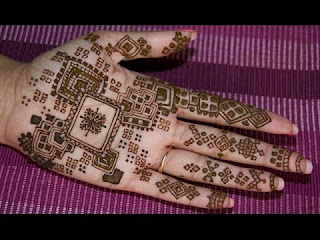 Together they look pretty nice and this is my favourite kind of henna designs. It is a combination of Indian patterns and Arabic designs --- Flowers, vines and curls with peacocks and other patterns. 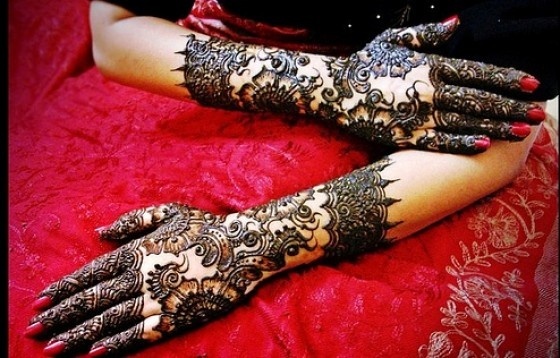 Henna is a popular tradition in Morocco work by women of all ages during special occasion such as weddings, holidays and festivals. Moroccan designs are very unique and different. They use special patterns for their designs and look absolutely beautiful. Moroccan henna powder has fast dye release and creates deep copper tones henna stains. 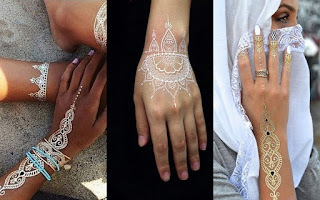 You have already seen this modern form of henna popping up on Instagram and Pinterest feeds. 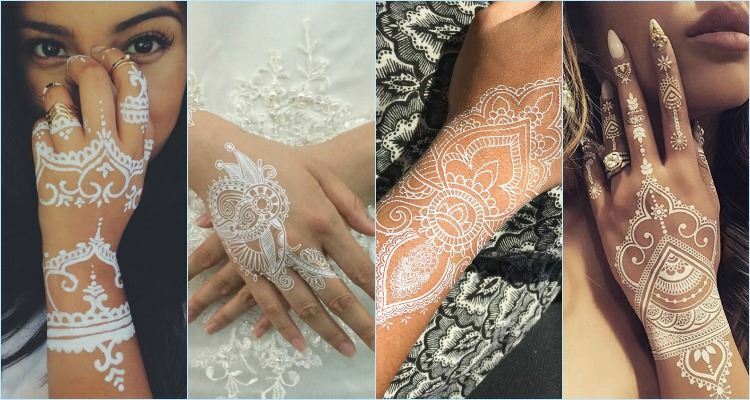 Young girls are flaunting these beautiful tattoos at weddings and music festivals. It is the latest trend in temporary body art. Intricately designed for a delicate look, the finished effect is a bit like lace applied to the skin. Even though there is no such thing as white henna, innovative minds have created body paint that is filled into henna cones and used to create some o the most gorgeous designs.